This product is not currently available. This catalog page is for reference only. 2018 is the last year that we will offer this variety. 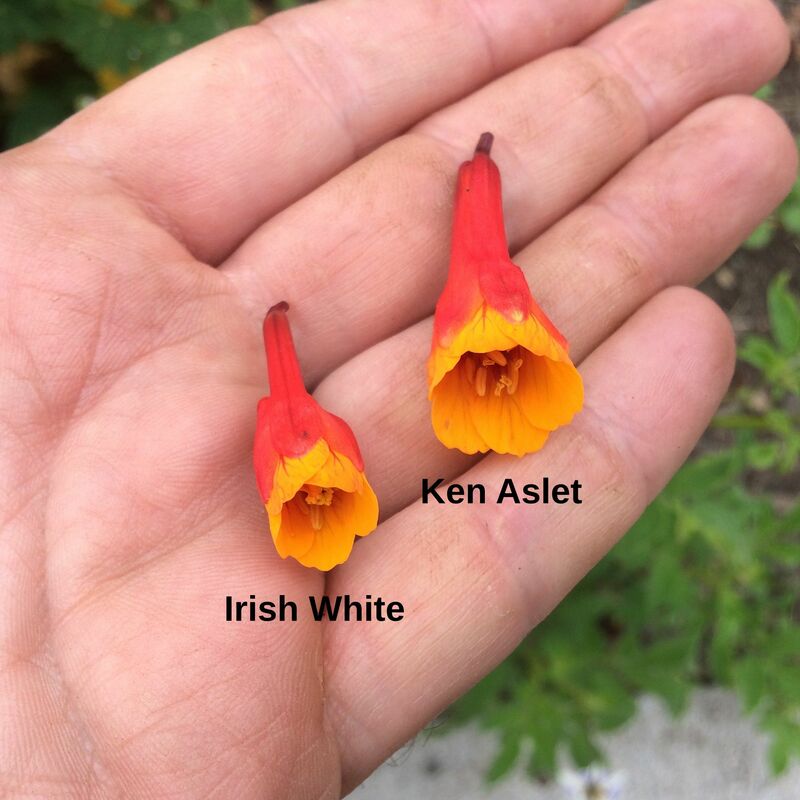 I have now seen enough progeny out of Ken Aslet to feel confident that is its background and, without unique genetics, it isn’t worth my effort to keep it. This is a variety of mysterious origin, apparently having come at least proximally from Ireland. I don’t know if it originated there as a seedling or if it is originally an heirloom variety from the Andes. This is an early flowering variety, starting around mid-August here, although not usually a heavy flowerer and not as early as Ken Aslet. I strongly suspect that it is a seedling out of Ken Aslet. The flavor of this one is a bit rough. 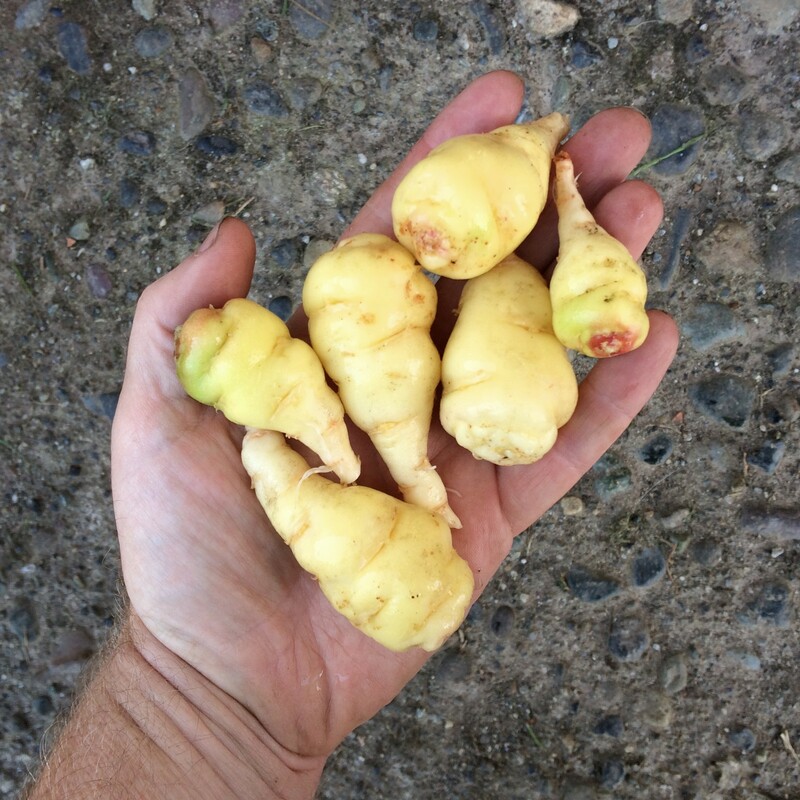 Like any variety, it will become palatable with sufficient cooking, but you probably won’t like this one raw unless you belong to the small group of people who really enjoy the full horseradish and licorice flavor of mashua. 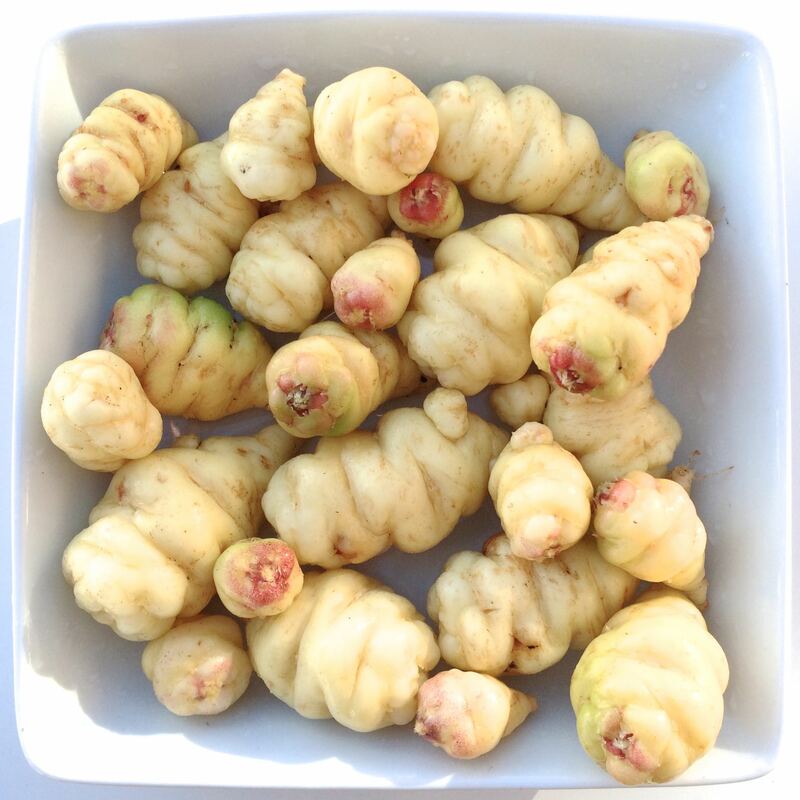 The tubers are a sort of cream color that blush red at the tips. 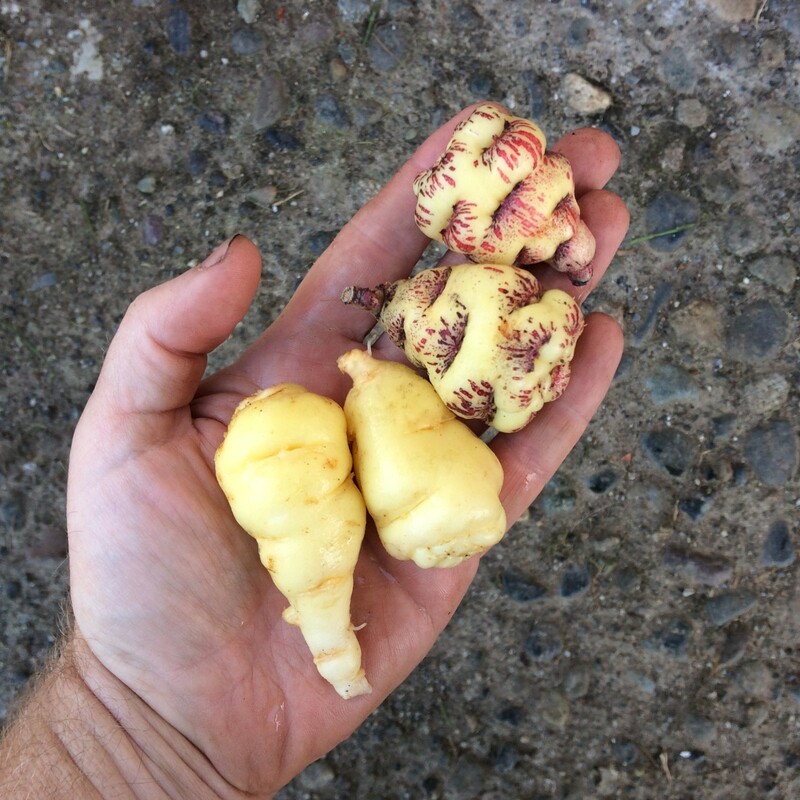 The yields are moderate and the tubers tend to be on the small side – three to four inches in length. This one grows very tall on a trellis and is one of the earliest of the fall flowering varieties, so it is worth considering as an ornamental.